Insurance professionals, claims executives and adjusters need to write, write, and then write some more in their job. Quality written communication is vital to the success of their work - customers need clear responses from their insurance companies, and lawsuits or other legal proceedings can be greatly compromised by badly written insurance claims. What are the types of mistakes that are commonly made by adjusters and claims professionals? 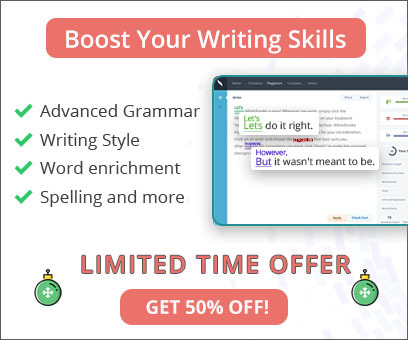 The same mistakes that are in fact common for many English writers - awkward writing style, spelling errors that get overlooked because letters are not proofread, and grammar mistakes that can hinder communication and leave the meaning of the text open to interpretation. Such mistakes can even be expected to some extent for many of us. After all, we write emails all day, usually in a rush, and further, we are not all expected to be professional writers. However, when writing is a significant part of our working day, and not just a form of personal communication, it is worth giving some thought to ways we can improve out written texts. Insurance professionals, claims executives and adjusters are some of the professionals whose work can indeed benefit greatly from thorough attention to writing style and English grammar. When you consider the amount of insurance claims written daily, and used in legal proceedings, it becomes clear that quality writing is an important and essential consideration for any insurance professional. What is at stake is not just the clarity of the letter, but the ability of the claim to stand up as a strong document in the court of law, and the professionalism of the company as represented by its actions. 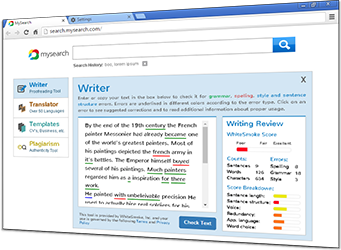 Training courses are one way to remedy writing problems in the work place, but there is another, more efficient option - WhiteSmoke English Writing Software. WhiteSmoke is an advanced technological solution which will help insurance professionals - and any other professionals who need to write, achieve perfect English, and learn dynamically as they write.